Abundant Produce Limited (ASX:ABT) has released a positive quarterly report for the three months to 31 December 2017 as the company rapidly builds resources in its natural health division. Overall, the report shows a number of encouraging updates, mirroring a solid performance from the ASX biotech small-cap and indicating there will be more exciting developments transpiring in the coming months. Cash flow for the quarter was A$82,000, significantly up from cash flow in the prior quarter, ending 30 September, of $6000. The improvement in receipts reflected actual sales made in the September quarter of $40,000, as well as ongoing sales growth in the December quarter. However, total expenditure was also up, lifting from $287,000 to $672,000 in the December quarter. These expenses did include a number of one-off costs, including those associated with ABT’s successful capital raising, and non-recurring costs associated with the company’s five newly released products. ABT’s oversubscribed capital raising in October closed at A$3.3 million, increasing the company’s funds in the bank from $834,000 to $3,268,000 by end December. Additionally, the company has submitted applications for an Export Markets Development Grant of some $50,000, as well as an R&D tax rebate of approximately $250,000, which it expects to receive next month. All of this translates into a strong cash position for the $26.35 million-capped ABT as it looks to realise its commercial aspirations in 2018. This latest quarter has also seen heightened levels of social engagement and a more tightly focused approach to marketing. From October to December, ABT’s website traffic doubled to 3300, echoing a surge in social media followers. In commenting on the report, ABT Group CEO Tony Crimmins said: “The success of our capital raising cemented our ability to fund new product lines for Abundant Natural Health, targeted a dramatic increase in the retail distribution network and provided investor confidence in our company. “This will result in increased sales revenue over the coming quarter both in Australia and China. We also anticipate increased sales for Abundant Seeds with the appointment of Sarah Pearson and the completion of disease packaging this quarter,” he said. Developments from ABT’s Abundant Natural Health (ANH) brand have been especially encouraging. Following the launch of ANH’s Tomato Infusion Face Cream, sales of A$120,000 have been generated through the company’s Chinese distribution network, with $11,145 from e-commerce sales through to December 2017. ANH CEO, Shanan Birkin is particularly pleased with the quarter’s results. 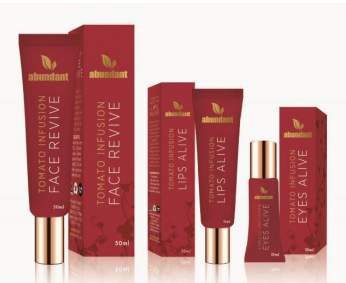 “We are delighted with the strong interest received in our Tomato Infusion Face Cream since its July launch and our Lips Alive lip balm launched in mid-December. Equally, we anticipate significant interest and excitement from consumers around our new lines coming out this month. “Sales will be supported by our purpose-built e-commerce website, which was launched on the back of our positioning on Tmall in China, as announced on 31 October 2017. The new site has also vastly improved the shopping experience for our customers,” she said. This month, the brand is releasing a further four new lines: Tomato Infusion Eyes Alive, Mag Ache Relief Gel, Mag Sports Spray, and Salt Soothing Gel, all of which have received highly positive feedback. 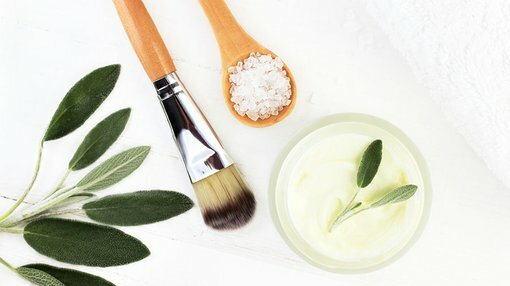 Following the new product releases, AHT has six products in the market, constituting a complete suite in the face range and the beginnings of both a body (magnesium) and salt range. These signature products provide AHT with leverage to significant momentum. “We will continue to test the market to gain invaluable consumer feedback on our products, which will not only improve product quality but also enhance and build customer loyalty and a stronger brand,” Birkin said.